For some reason, I craved for banana bread a few months ago. The only place I've ever bought banana bread from is Red Ribbon, but the nearest one is 40 minutes away, and M and I weren't feeling up for a long drive, so a feelingerang baker's gotta do what she's gotta do - bake her banana bread from scratch. So I went to work and looked for a recipe online. Lo and behold - the "best banana bread" according to Bon Appetit. I completely agree. 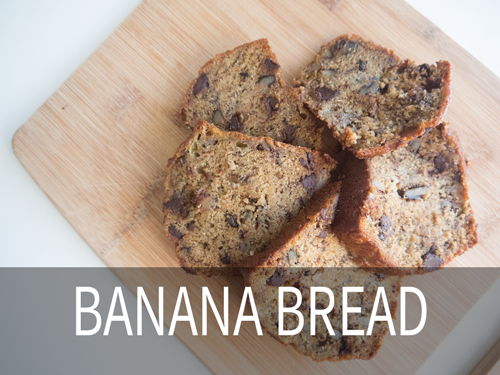 This is THE BEST banana bread, ever! 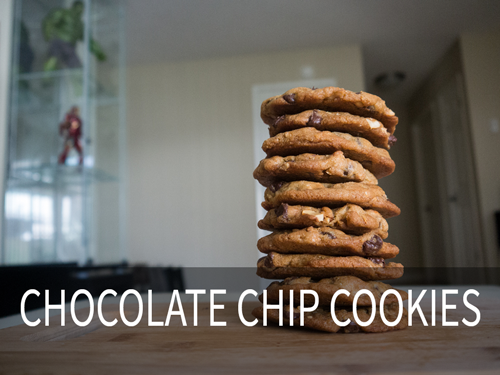 It is sooo moist and soft and filled with crunchy walnuts and chocolate chips (who doesn't like chocolate?). I think I won't go back to the Red Ribbon banana bread anymore. This is very easy to make and the only real effort you need to do involves mashing 4 very ripe, very soft bananas. And if that is still too much work, you can zap the bananas in a blender. Simples. I still don't have a loaf pan so I baked the banana bread in my king-sized muffin pan the first time I made them (2nd photo) and just sliced the humungous "muffins." 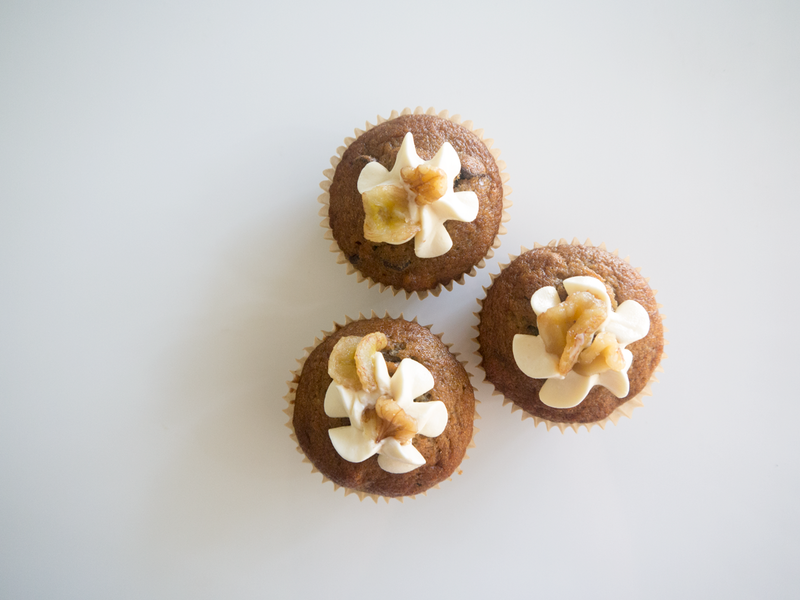 The second time I made them, I was feeling quite adventurous (maybe maarte is more appropriate) so I baked them in my trusty cupcake pan and added a dollop of mascarpone frosting on top plus a little walnut chunk and a fried banana slice for garnish. 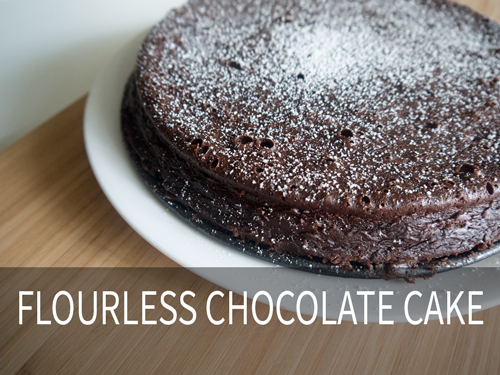 These won't pass as cupcakes though because they're denser than the typical fluffy cupcake batter. 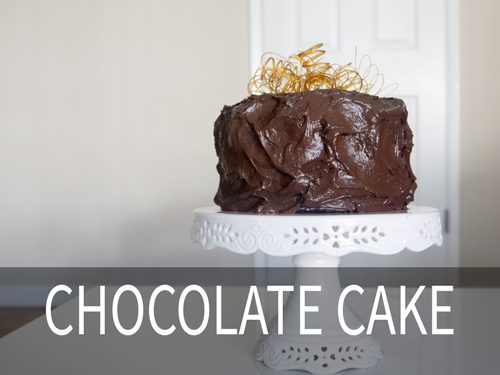 Also, the frosting is not included in the original recipe from Bon Appetit. Anyway, this banana bread is great so try it out. If you think there is a better recipe than "the best banana bread" recipe, let me know! Preheat oven to 350°. Lightly coat a 8 ½x4 ½" loaf pan with nonstick spray and line with parchment paper, leaving a generous overhang on long sides. Greasing your pan with butter works too. Whisk flour, baking soda, and salt in a medium bowl. Bake bread until a tester inserted into the center comes out clean, 60–65 minutes. If you are using a king-size muffin pan, start checking on the bread after 25 minutes of baking. 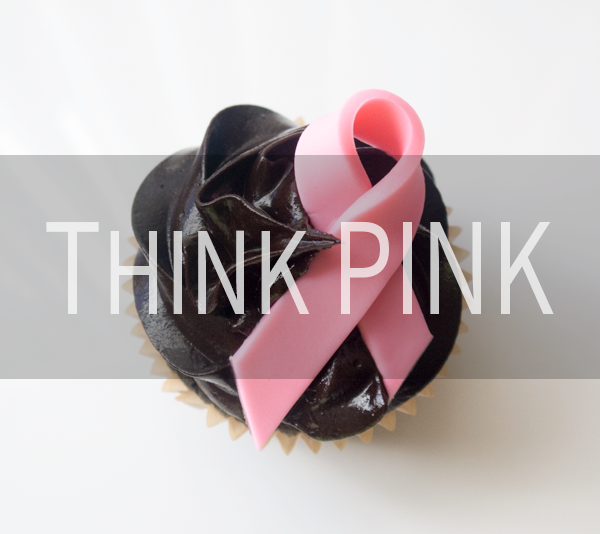 If using a cupcake pan, start checking on them after 15 minutes of baking. Transfer pan to a wire rack and let bread cool in pan 1 hour. Turn out bread and let cool completely (if you can resist) before slicing. Make the frosting. Using an electric mixer, beat the cream cheese and butter in a large bowl until light and fluffy. Beat in the mascarpone cheese and then beat in the honey. 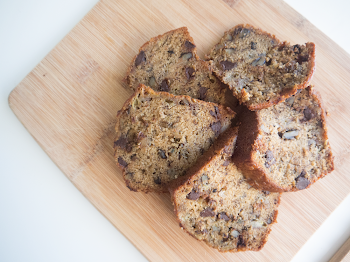 Spread the frosting over banana bread and garnish with walnuts and banana slices if you like.